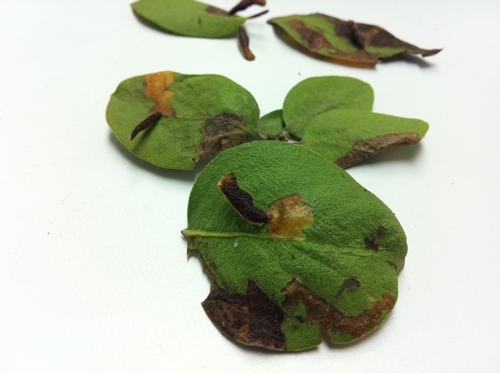 Manzanita leaves showing blotch mines and cases made by Coleophora sp. Manzanita (Arctostaphylos sp.) leaf samples that were recently brought from the San Luis Obispo area appear to have casebearer infestation. Coleophoridae in the order Lepidoptera. 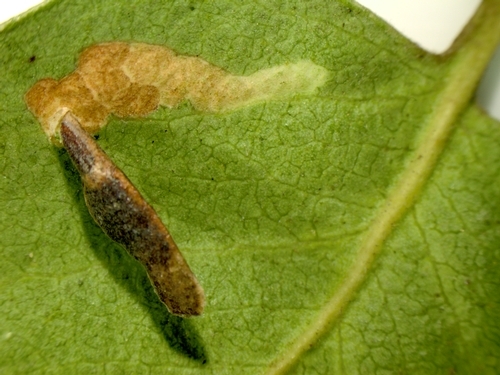 Young larvae are leaf miners. Their name comes from the casing they make with silk, frass and plant material as older larva. 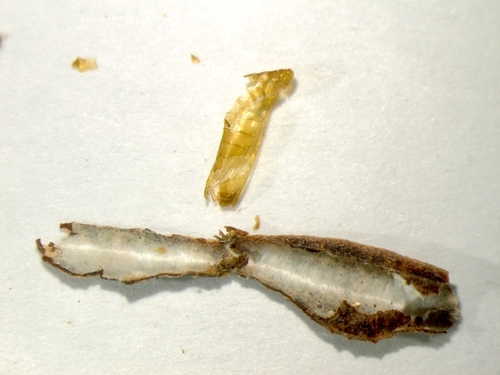 Pupation takes place inside the casing. The specimens in hand appear to be Coleophora sp. 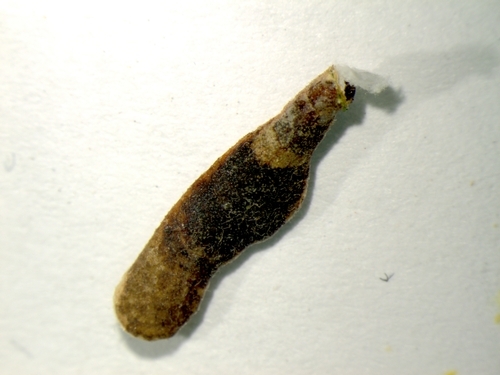 It has a selnder, shiny dark brown or black casing that is about 0.4 inches (10 mm) and is attached to the leaf lamina near the mined area. The type of mine is blotch mine where larva turns around (unlike the unidirectional serpentine mines) causing irregularly shaped mine. 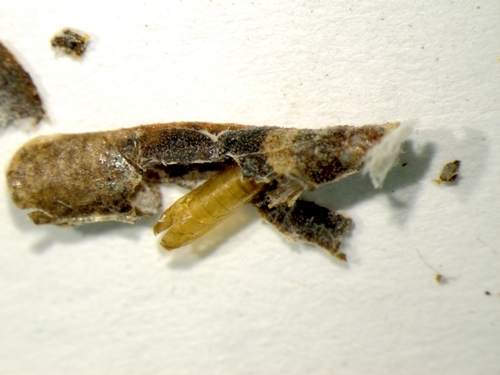 Blotch mine and pupal case (Photo by: Surendra Dara and Rodney Cooper, USDA-ARS).